Bristol Rovers have been handed a bye in the First Round of the Johnstone’s Paint Trophy. 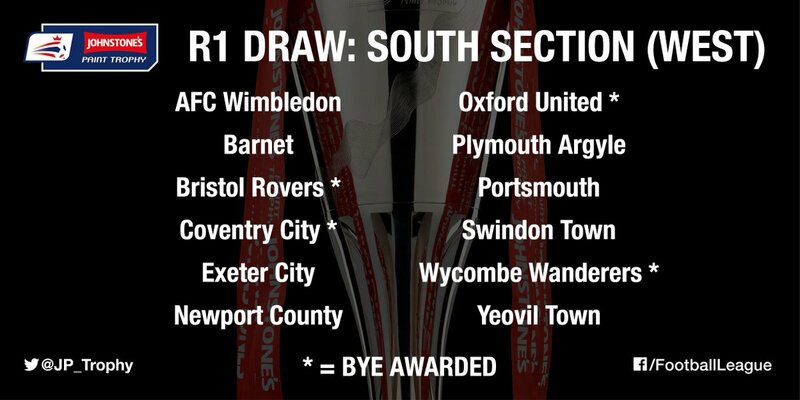 BRFC have been handed a bye along with Coventry City, Oxford United and Wycombe Wanderers. The Round One draw will be at 10.15am on Saturday 8th August 2015. Round 1 ties will be played week commencing 31st August 2015. For Rounds 1 and 2 clubs remain grouped together in the four regional groups. Then, from the Area Quarter Finals onwards, they are grouped into North and South sections. The winners of each section then progress to the final at Wembley on April 3.